Canals snake through much of Cape Coral, Florida. 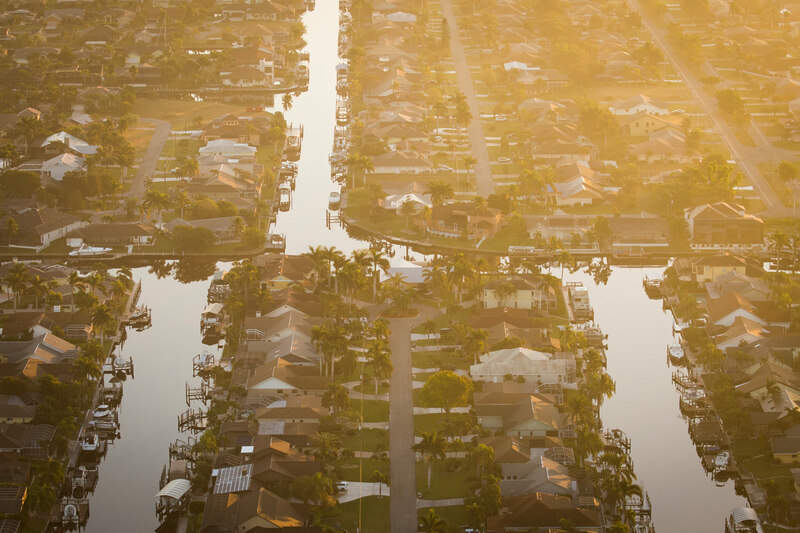 During a hurricane or high tide these canals funnel water straight onto homeowners' properties. For the Weather Channel.